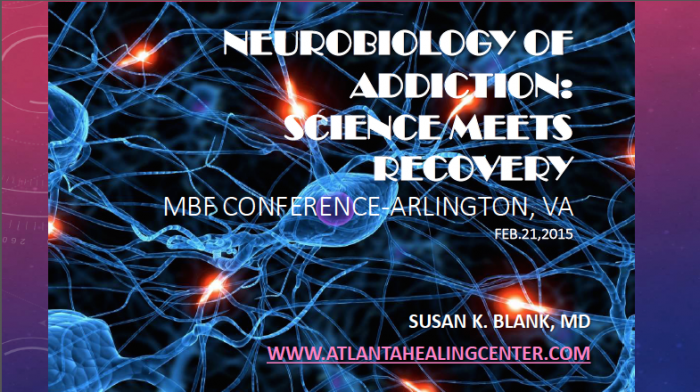 Susan Blank, MD’s presentation was on The Neurobiology of the Disease of Addiction. It is important to remember that not everyone who uses drugs, alcohol, or participates in some addictive behaviors like shopping or exercise will become an addict. Addiction requires three things to co-exist: a genetic predisposition to the disease; exposure to the substance or behavior that will produce the powerful reward in the brain; and an environmental circumstance such as stress that will create a trigger for continued use. 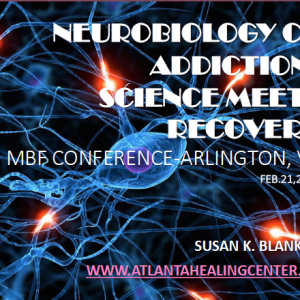 The presentation reviewed the biologic development of the human brain, the effects of drugs and alcohol on the brain as seen by SPECT Scans and the powerful neurochemical (Dopamine) reward system that exists when someone uses or experiences the addictive behavior. It is only by understanding the biological and social components of addiction that one can effectively address and treat its effects on the human body. Addiction is a primary, chronic disease of brain reward, motivation, memory and related circuitry. Dysfunction in these circuits leads to characteristic biological, psychological, social and spiritual manifestations (American Society of Addiction Medicine, Definition 2013).